The following recycling centers offer self-service waste disposal and recycling. Check in at office for instructions and to pay. Hours: Monday - Friday 8AM - 5PM. Closed 12-1PM and most major holidays. Solid Waste (general household trash) - Fee charged. Please bring your load in and we will give you a friendly, free estimate to dispose of your load. SSC does not accept any kind of hazardous, toxic, radioactive or dangerous waste(s), ammunition, explosives, dead animals, old gasoline, antifreeze, asbestos, pesticides, oil-based paints, or hot ashes. For more information about disposal of hazardous or household hazardous wastes, click here. See list below - Fee charged (unless otherwise noted). Please bring your load in and we will give you a friendly, free estimate to recycle your load. For instructions on how to prepare materials for recycling, please click here. All non-compressor appliances. To recycle appliances with compressors (refrigerator, freezer, AC, etc.) please contact us at (360) 734-3490 or ssc@ssc-inc.com to schedule pickup through our You Call – We Haul junk hauling service. Vehicle Batteries (Lead Acid) - Car, truck, motorcycle and boat batteries. Store in a box. No cracked, leaking, household or rechargeable batteries accepted. Leave battery caps on. Note: Battery should say "Pb" on it, which designates it as Lead Acid. Sealed Lead Acid (SLA) Batteries - Used in security, emergency, backup, mobile medical devices, etc. Store in a box. No cracked, leaking, household or rechargeable batteries accepted. Note: Battery should say "Pb" on it, which designates it as Lead Acid. NOTE: Rechargeable Batteries - Ni-Cad, NiMh, Lithium and those used for cell phones, cameras, hearing aids, rechargeable tools, etc. Please contact Disposal of Toxics for recycling or disposal options. NOTE: Household Batteries - AAlkaline and carbon-zinc batteries no longer contain hazardous materials and can be recycled at any of the businesses listed below or disposed of with your regular household garbage. Electronics - for more information about recycling electronics click here. Plastic - All types and colors accepted. Material must be clean. NO StyrofoamTM or thin foam sheets! Recommendation: compact (in can or plastic sack) to save money. To dispose of CDs/DVDs or other magnetic media, click here for info on our shredding services. Plant pots and plant trays (brush clean and stack). Buckets (clean, any size). No metal handles. Recycle paper sleeves or inserts with scrap paper. No mud, straw, rocks, plastic banding, or twine. NOTE: Commercial customers with large quantities should contact SSC or call (360)734-3490 for routed collection options. Aerosol Cans - Non-hazardous, aerosol cans ONLY. Aerosol cans must be EMPTY - no pressure or contents left in can. Leave cap on (if you have it). Hazardous product aerosol cans or cans that are not empty must be taken to Disposal of Toxics for safe disposal. For more info call (360) 380-4640 or visit http://www.whatcomcounty.us/833/Disposal-of-Toxics-Facility. Propane Tanks - SSC accepts propane tanks (BBQ-size) for recycling as scrap metal at our Drop-Off / Recycling Centers only. Tanks must be empty and valve removed. Propane tanks are not accepted as garbage or accepted through our curbside programs. NOTE: Propane canisters used for backpacking stoves, camp stoves, lanterns and propane torches should be taken to Disposal of Toxics (DoT) for proper handling. For more info call (360) 380-4640 or click here. Holiday lights, extension cords and wire. Please coil/bundle and tie with string, rubber band or twist tie. License Plates - Remove or invalidate the month and year tabs then bend the plates so they can’t be used on another vehicle. Recycle old license plates, except those listed below, with Scrap Metal. We cannot accept the following plates. Please return to a vehicle licensing office. For more info click here. NO: Food Scraps, Food-soiled papers, Sod, Rocks, or Trash. Fee charged. Please bring your load in and we will give you a friendly, free estimate to recycle your load. For more information about our FoodPlus! Recycling curbside collection service click here. Data is accepted for secure shredding during normal facility hours. Contact us at (360) 734-3490 or ssc@ssc-inc.com for rates and instructions. E-waste is accepted during normal facility hours. Contact us at (360) 734-3490 or ssc@ssc-inc.com for rates and instructions. SSC now accepts used bicycles through its Recycle your Cycle program at no charge. Collected bikes are donated to The Hub Community Bike Shop. 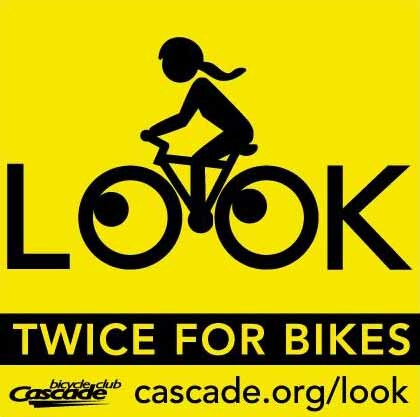 To donate your used bicycle, visit SSC's Bellingham Drop Box Facility & Recycling Center at 1001 Roeder Avenue (F&Roeder) for drop-off. Hours are Monday - Friday 8AM - 5PM. Closed most major holidays. Check in at office for instructions. Donated bikes must be able to be repaired and ridden - at a minimum. Bikes beyond repair can be recycled as scrap metal. 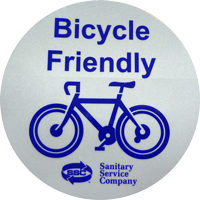 SSC is a "bike-friendly" business, active Whatcom SmartTrips employer and long time supporter of Bike to Work and School Day. Our employees log over 30,000 SmartTrips miles per year - many of them by bike! SSC is also a proud sponsor of WWU's Cycling Team. 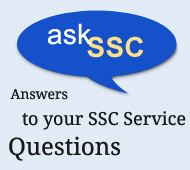 For questions or more info, visit our FAQ section or contact us at ssc@ssc-inc.com or (360) 734-3490. Follow Mt. Baker Highway to Cedarville Road near Nugent's Corner in Everson. Go north on Cedarville Road approximately 1/4 mile to Recycling Center. See list below - Fee charged (unless otherwise noted). For instructions on how to prepare materials for recycling, please click here. NOTE: Household Batteries - Alkaline and carbon-zinc batteries no longer contain hazardous materials and can be recycled at any of these businesses or disposed of with your regular household garbage. Oil Filters – drained. To prepare for recycling: punch hole(s) in sealed end (hammer and nail work fine). Drain upside down into a collection pan for 24 hours. For info on how to prepare motor oil for recycling, click here. Plastic bottles and containers - All types and colors accepted. Material must be clean. NO StyrofoamTM or thin foam sheets! Recommendation: compact (in can or plastic sack) to save money. Aerosol Cans - Non-hazardous, aerosol cans ONLY. Aerosol cans must be EMPTY - no pressure or contents left in can. Leave cap on (if you have it). Hazardous product aerosol cans or cans that are not empty must be taken to Disposal of Toxics for safe disposal. For more info call (360) 380-4640 or visit www.whatcomcounty.us/833/Disposal-of-Toxics-Facility. Yard Debris, Food Scraps, Food-soiled or Compostable Papers? For more information about our FoodPlus! curbside collection service, click here. From I-5 take the Birch Bay-Lynden Road exit. Head West to recycling center. Holiday lights, extension cords and wire are recyclable as scrap metal. next to recycling bins for pick-up.